Dr. Choudhury completed MS (General Surgery) from Gauhati Medical College & Hospital and MCh (CTVS) from PGIMER & Dr. RML Hospital. 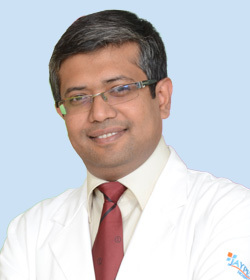 He also pursued Senior Residency in Cardiothoracic and Vascular Surgery from Safdarjung Hospital, New Delhi. Prior to joining Jaypee Hospital, he was associated with St. Stephens Hospital, New Delhi. Manage the surgical services including determining the surgeries, planning, scheduling, coordinating different aspects as well as procurement of equipment and supplies.